Part one of this series of articles on Team Near Space Circus flight NSC-01 can be found >here<. 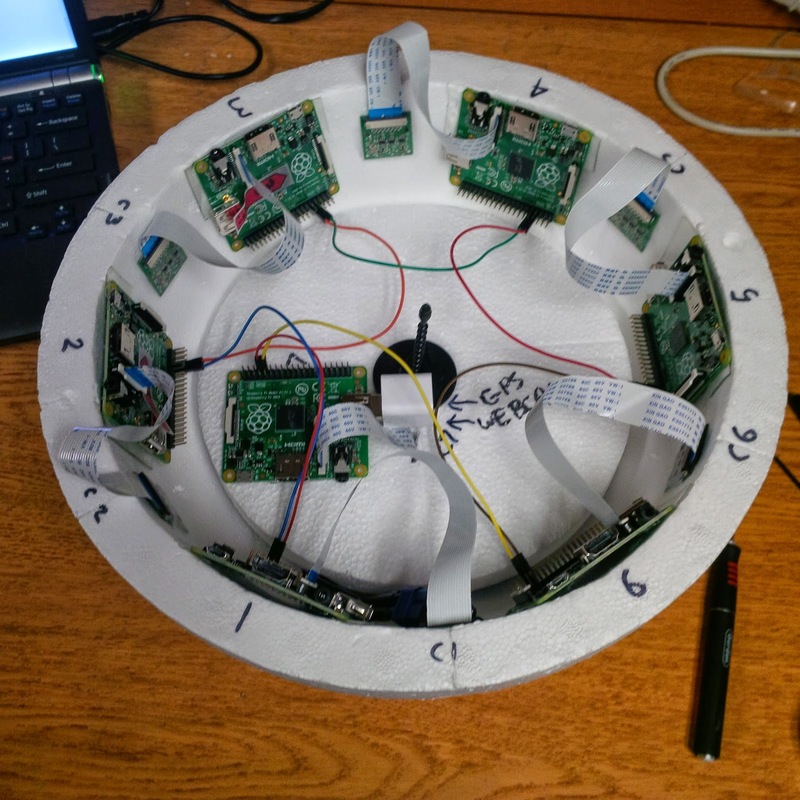 It covered the physical layout of the 7 Raspberry Pis, 8 cameras and power system. It left off as we were about to go into the details of the network topology itself. A satellite or a bowl of spaghetti? Many early personal computers typically had two interfaces, either built in or available through an expansion card: a serial (either a DB9 or DB25 connector) and a parallel interface (either a DB25 or 36 pins Centronics connector, aka IEE1824). 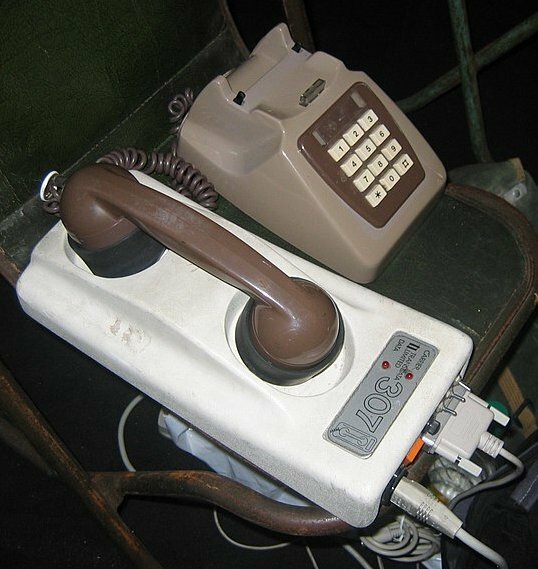 The parallel interface was typically used for printers (and great for DIY DACs with resistor ladders, but that's a story for another time), while the serial port was mostly used for modems or scientific equipment. RS-232 was introduced in 1962, so it's been around for quite a while now. Many serial connections were actually TTL (5V), such as on the Digital Decwriter III, but it was quite easy to convert them to a +/- voltage range (and even more so since the mid 80s with ICs such as the MAX232). 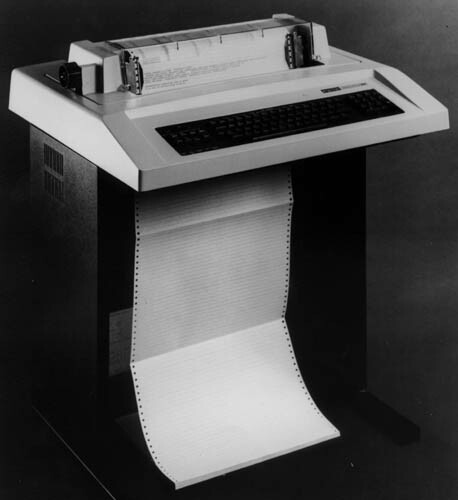 The initial purpose was to connect a DTE (Data Terminal Equipment), a fancy way of saying a computer, and a DCE (Data Communication or Circuit-terminating Equipment). TXD and RXD. It is a serial port, but it is *not* RS-232 compatible as far as voltage levels are concerned (a 1 is marked by a negative voltage in the range -3V to -15V, and a 0 by a positive voltage in the range +3V to +15V), as it is a TTL interface (a 1 is marked by a positive voltage, either 3V3 or 5V and a 0 is marked by 0V). But that is fine, we are only connecting to another Raspberry Pi. The primary issue with this serial port is that the Raspbian operating system has a console (TTY) associated it. Meaning that you could connect this to a computer, with the right cable, and see the boot process and get a console prompt, and be able to type commands, as if you had a keyboard and monitor connected directly to the Raspberry Pi. Once we have reconfigured the serial port, we can quit raspi-config and reboot. For each compute node, beside disabling the serial port console, we also enabled on the advanced page the SPI and I2C options, and on the main page we configured the time zone, enabled the camera and expanded the filesystem. We also overclocked nodes 1-3 to 800 MHz while nodes 4-6 ran at 700 MHz (so we can measure the impact of overclocking). 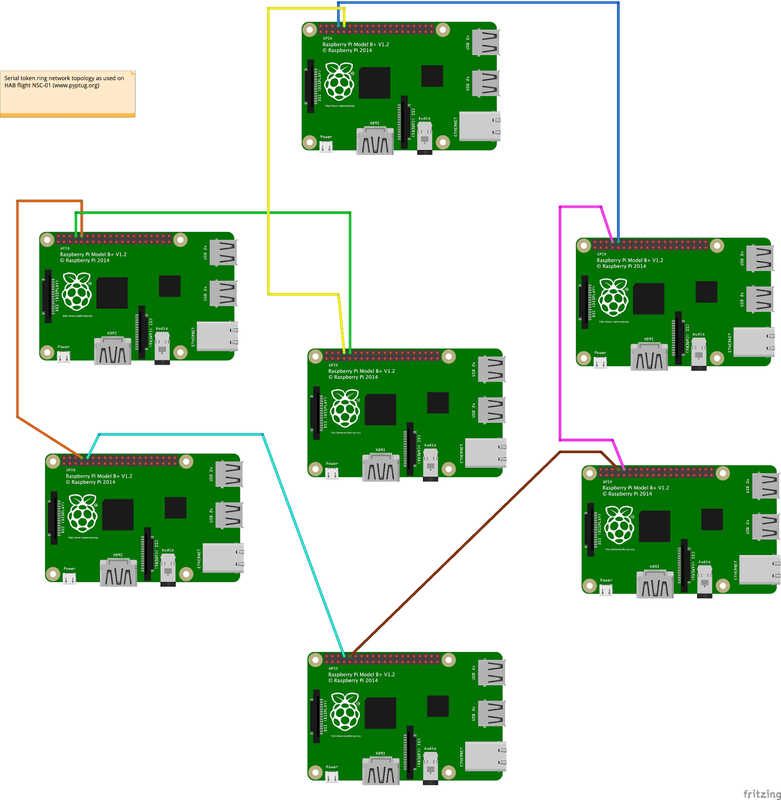 By using a pair of Raspberry Pi, the communication process is pretty straightforward. With two nodes, we can use SLIP or Point to Point Protocol (PPP). Initially, this was the thought for NSC-01 and we would not have to write the code for the network layer. 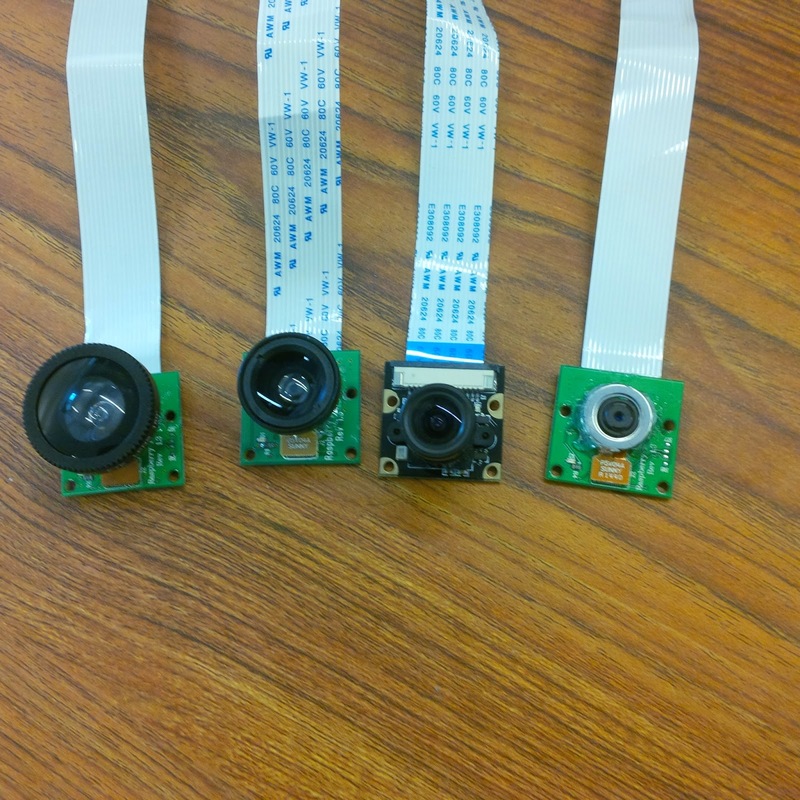 But without a functioning camera switcher, the only option was to use one node per camera (each Raspberry Pi has 1 CSI camera connector, even thought the Broadcom chip supports 2 - most cell phones have a front and rear camera). 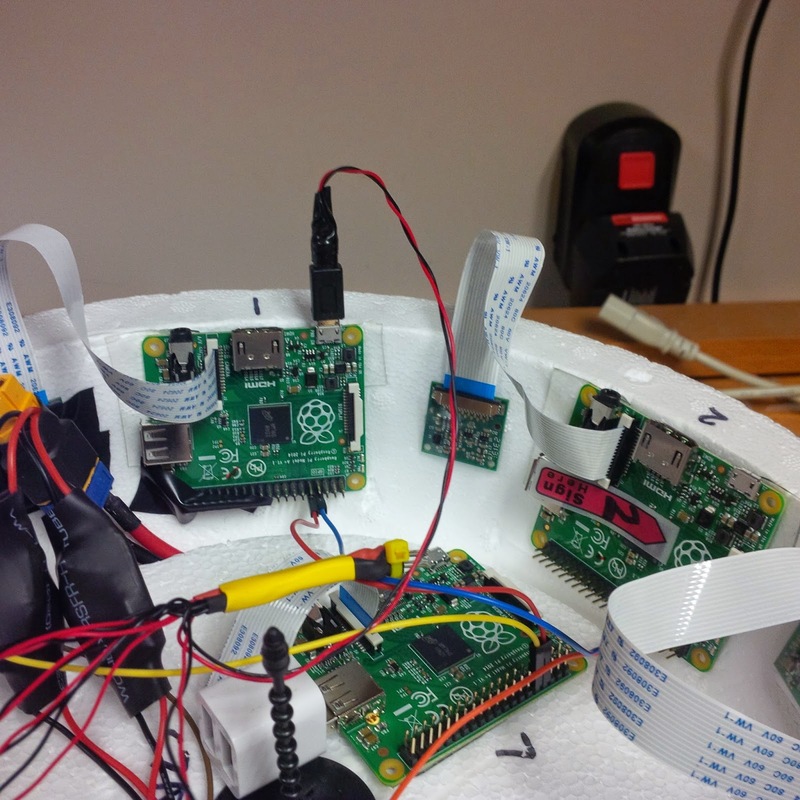 With 7 CSI cameras in total, that meant 7 Raspberry Pi. As I was going through the options, I started thinking about good old IBM Token Ring (and FDDI). Conceptually, at least. I wasn't going to make something compatible with 802.5, but instead reuse the concept with the serial UART, transmit to receive from one node to the next. Conceptually, a node is always listening to the serial port. Is this data for me? 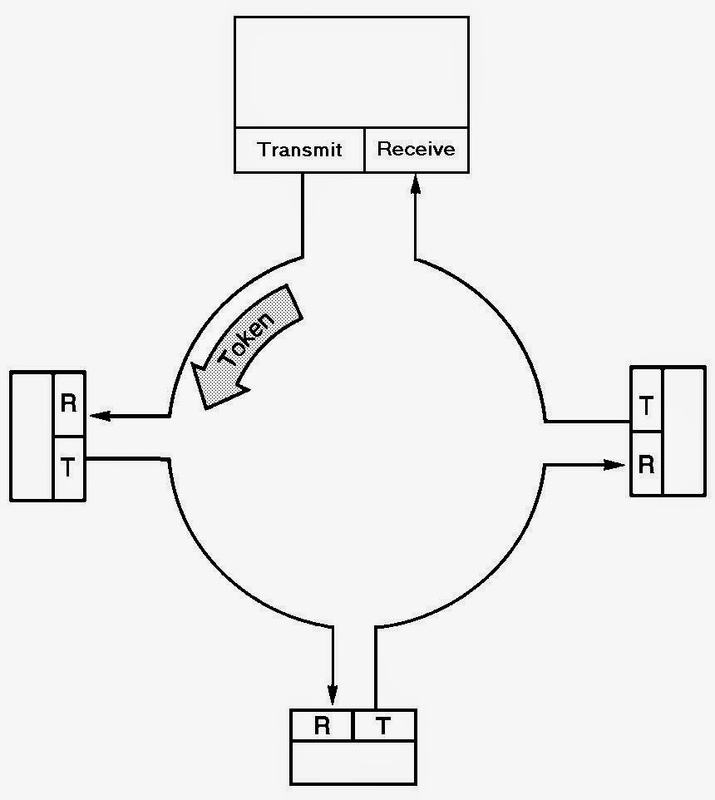 (if it's a broadcast or if it's addressed to me) If not or if a broadcast, I send it right away to the next node, and process it if it is addressed to me. So let's get into the details. 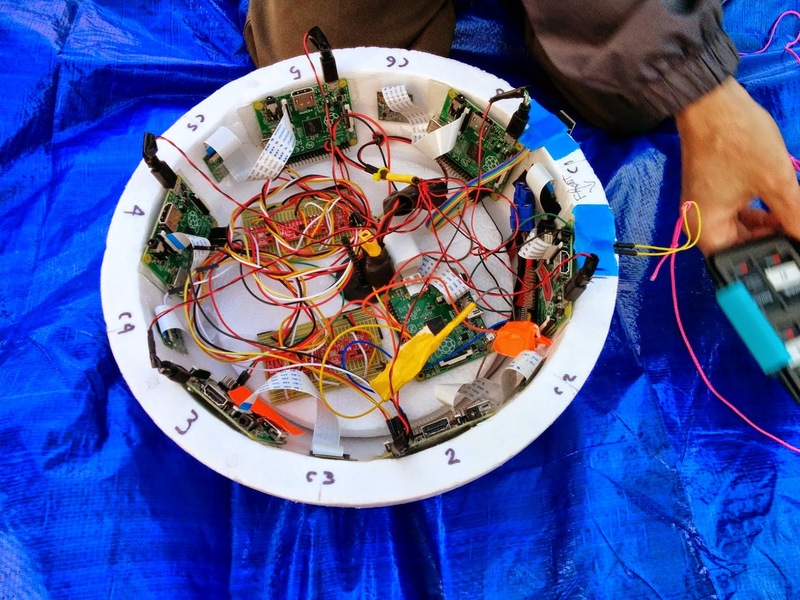 In the previous article, one of the pictures clearly showed 7 Raspberry Pi connected together inside the payload. 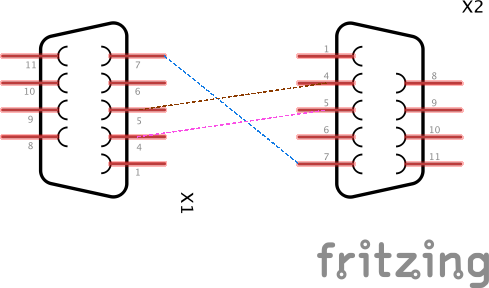 I've included here a fritzing diagram to help in detailing what is going on here. In the diagram above, I didn't have a Raspberry Pi model A+ for fritzing, so I used the closest thing for our purpose, a Raspberry Pi model B+. Both of them have a 40 pins GPIO header. First row at the top, from left to right has 5V, 5V, GND, TxD and RxD. We'll stop there for right now. Here I've simply connected node 1 TxD to node 2 RxD (blue wire), node 2 TxD to node 3 RxD (pink), node 3 TxD to node 4 RxD (brown), node 4 TxD to node 5 RxD (cyan), node 5 TxD to node 6 RxD (orange), node 6 TxD to node 7 RxD (yellow) and finally node 7 TxD to node 1 RxD (green), in a nice circular (or ring) fashion. The GND are not daisy chained from one Pi to the next, because they are all powered by the same source, through their microusb plugs. Initially, I tried to power the Pi directly from the 5V pin on the GPIO header, but the signal was decoding only partly. 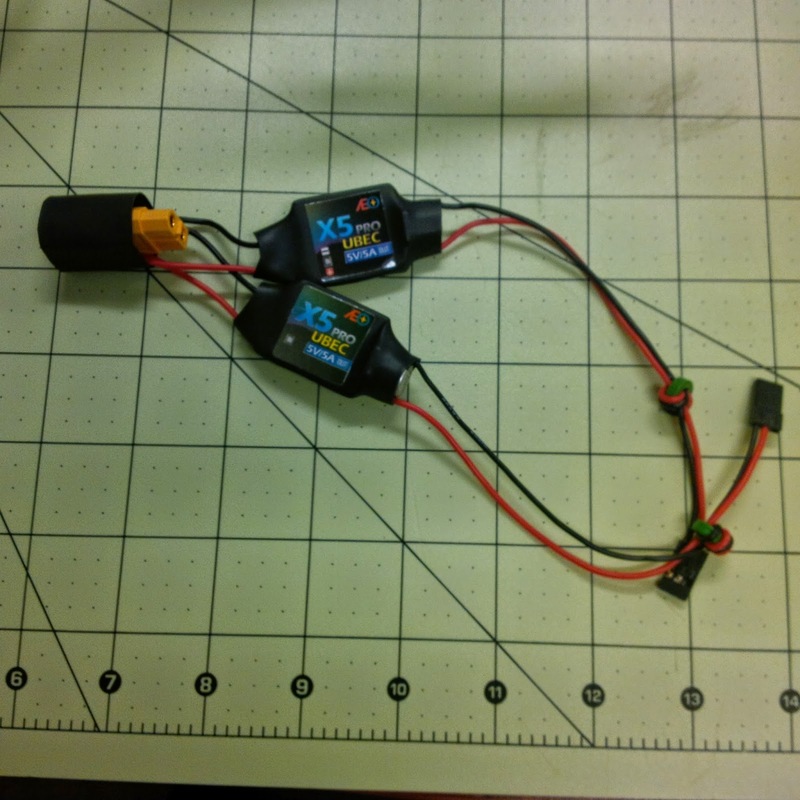 By further connecting the 3.3V (that was key, the UART operates at 3V3 so the HIGH signal was not detected reliably when powered with only 5V) and GND together, it made it more reliable, but also more complicated. 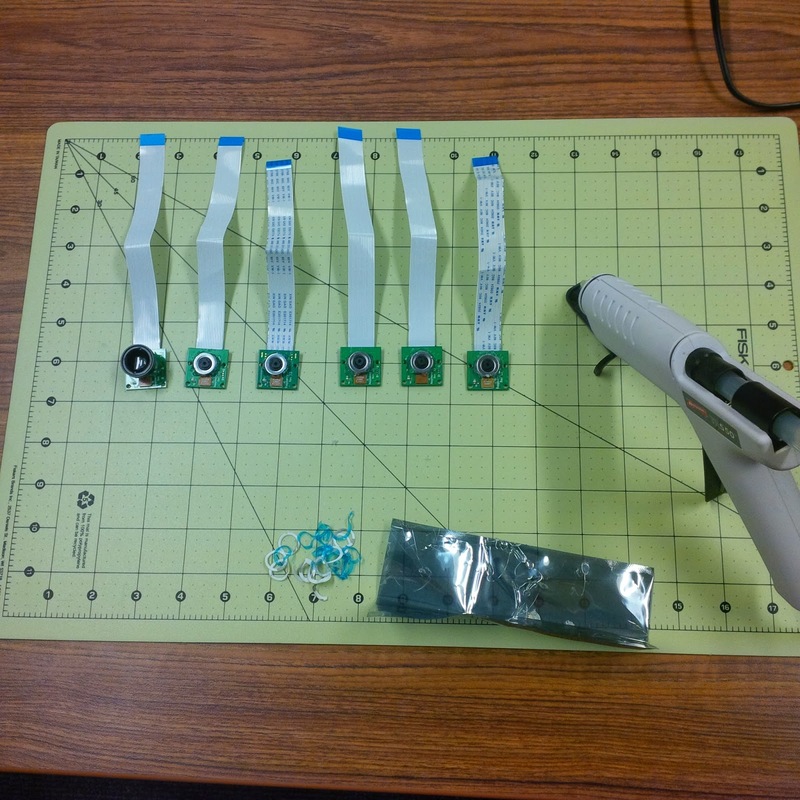 I reverted back to powering all the 7 nodes using microusb (as detailed in the previous article). 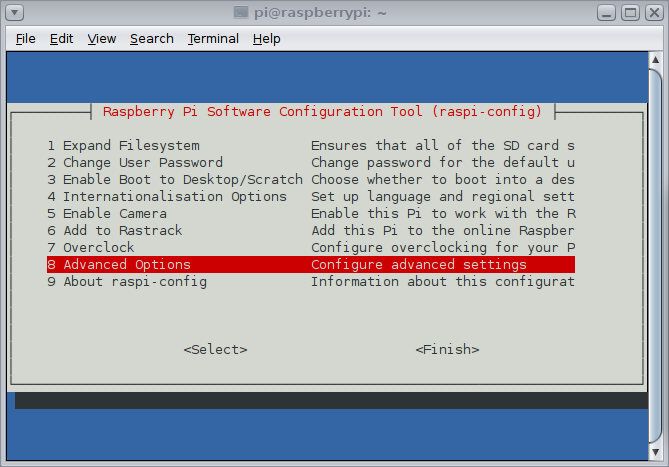 What's great about Raspbian is that not only do we have Python installed, but Python 2.x and 3.x are there, along with many things that are normally optional, such as pygame, pyserial, RPi.GPIO etc. Batteries are quite definitely included with Python on the Raspberry Pi. Still, for the networking software, we did install two modules from pypi using pip3 (we are using Python 3), docopt and sh. 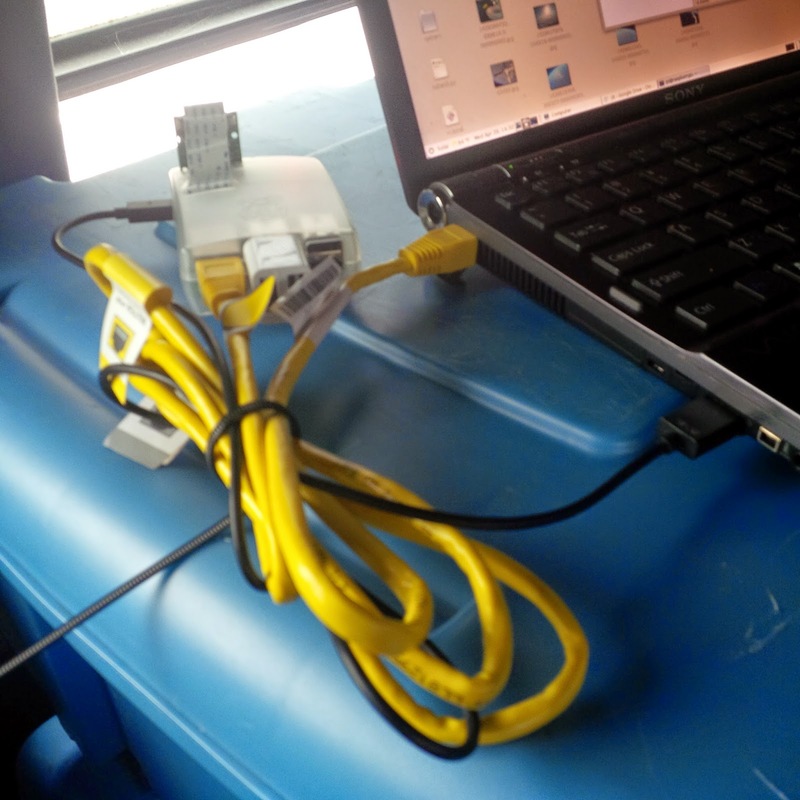 For the bulk of the development, I used a Raspberry Pi Model B+ connected to my laptop and to a second Raspberry Pi using the serial port and the network switch. That way my laptop could see both Raspberry Pi and I could push new versions of the software using scp. docopt: helps you to define interface for your command-line app, and automatically generate a parser for it. And, so back to docopt, here is how it was used for token.py. At the top of the file, after the shebang line (so the script can be an executable), I included the docstring which defines the interface (lines 2 to 5), which is a required field <address>. This is a simple case, but as cases get more complicated, it really pays off to use docopt. So, how about accessing a serial port in Python? And are there things to keep in mind when using Python 3? First thing first, we import serial (line 10). This module is already installed on the Raspberry Pi. "The UART and the SPI can be driven by DMA so there is no SW limitation.The real maximum for all those interfaces is only set by the signal integrity.This is certainly the case for I2C as it has to use pull-up resistors to get the signals high again.I know the clocking is rather confused. I built the damn chip and I still have no idea how to control all the clocks.The clocking structure is very complex with a limited number of resources (PLL's) which are used for aplethora of things to drive. (A quick count shows 36! clocks being generated) There will be many cases where it is just not possible to give you ALL the frequencies you want." And in fact, it is possible to get up to 921600 bps (8 times what we used) in a controlled environment, at the OS level In an environment full of RF, including a 10W 2M transmitter, with a python module, I'd be happy with 4 times (460800) or even twice (230400) our rate. If nothing else, it would drive our latency down some. Wow, that was quite the detour, anyway, back to our establishing the serial connection. The last thing we specify on line 101 is timeout=1. This is a 1 second timeout. We will be blocking on reads (line 113), but don't want to wait more than 1 second for the data. A start delimiter, access control, frame control, destination address and source address, then the data, and finally a frame check sequence, end delimiter and frame status. I found this later, after I designed the frame for our system, and it is interesting that it is quite similar, in functionality, but implemented slightly differently. In our case, the frames are small in size, they should never go above 1 second to transmit. And if they do, then we kick out that partial request and the balance of the request and we'll get the next one that is complete. So, we assume that if we get a full frame, the first byte is always first, and the frame always conclude with a newline (that way the ser.readline() returns before the 1 second timeout). We thus avoid the start delimiter (the end delimiter is newline). The first byte for our protocol is the source address (1 byte = 254 addresses, 0 and 255 have special meaning). The second byte is the destination. On an 8 node setting (the default), this is a bitmask, and 255 (FF) is broadcast. On a "large" cluster, this address is the individual node address, and 255 (FF) is still broadcast. You gain number of nodes, but loose directed broadcast (say, I want to send something to node 1, 2 and 6, I would use a destination of 9 in the 8 node mode, but in extended mode I have to send 3 individual frames). Then the status. This can be a static status (the packet gets back to the originator) or a counter status (each time a node processes the frame, it decreases the status) or a no status needed, where the nodes simple forward the original frame, but do not send a status. This is followed by a command. This allows for shorter data segments, since we just need the variable part of the command. Finally, the data, a variable number of bytes terminated by newline (\n). As we get to higher speeds, I will definitely add the frame check sequence of the original token ring to our design. What about writes? As an example, in the case of the master controller, it starts its job by sending a KEEPALIVE frame. This is defined by a series of bytes on line 36. Source is 01 (master node), destination is 255 (FF) broadcast, status is FF (no response needed), then command 05 which is a keepalive. Data segment is of length 0 since \n is encountered immediately. This is the shortest well formed frame that can be sent. And that is what the master controller sends on line 152 using ser.write. As long as we keep everything as type bytes, the serial module works well in Python 3. Pretty simple, overall (!). Well, considering this was all designed over the course of a handful of days. Python really helped. We will be creating a module for reuse out of the token.py application, so that other people can use a serial token ring setup themselves. This should be published to pypi. We'll also publish a demo implementation for a master/slave setup. And don't forget to check back regularly for more updates, such as part 3 of this series of articles (the data gathering aspects). "A dead man's switch (for other names, see alternative names) is a switch that is automatically operated if the human operator becomes incapacitated, such as through death, loss of consciousness or being bodily removed from control. Originally applied to switches on a vehicle or machine, it has since come to be used to describe other intangible uses like in computer software." 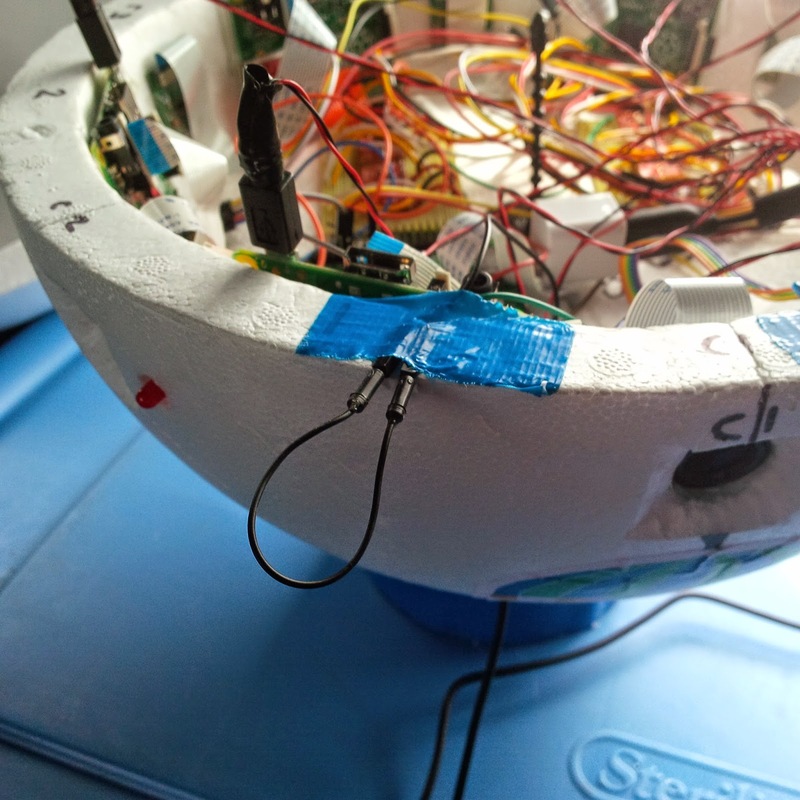 For Team Near Space Circus' participation in the Global Space Balloon Challenge with NSC-01, we wanted to make sure that once powered up, and enclosed, we would still have control of the computer cluster and the timeline of events, as to what would happen when. 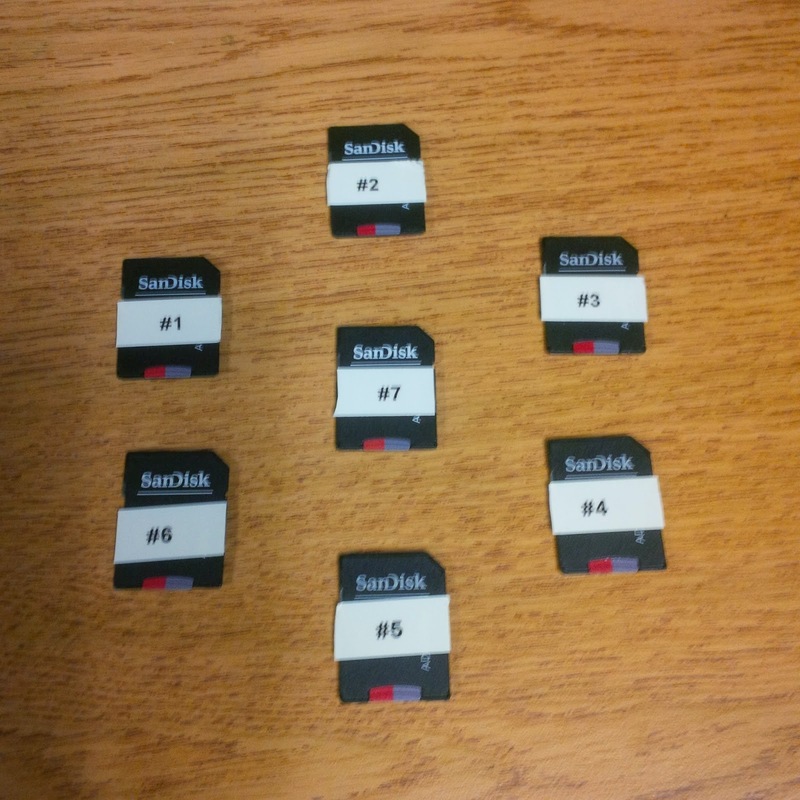 As we devised a network with 7 nodes (see part 1 and also part 2 of the computer network in near space) with a master controller and many slave nodes, we needed a way for the system to wait on a signal from us. A plain old switch would do the trick of course. But what if the balloon took off and we forgot to flip the switch? Or somebody tripped and let the balloon go? Then the master controller would have stayed in standby mode, sending keep alive frames to the other nodes and we would have had no images, no video, no gps data etc. Not good. If you've ever spent any time on a threadmill, no doubt you've encountered a tethered switch. Usually it's a magnetic plug, with a string, terminated by a clip. You clip it to yourself, so if you ever fall down/off the threadmill, you end up yanking the plug off the machine, and it stops right away. Since the Raspberry Pi has many GPIO pins, all we needed to do was create a simple circuit between two of them that, once interrupted, would signal that it was time for the master controller to go to work. 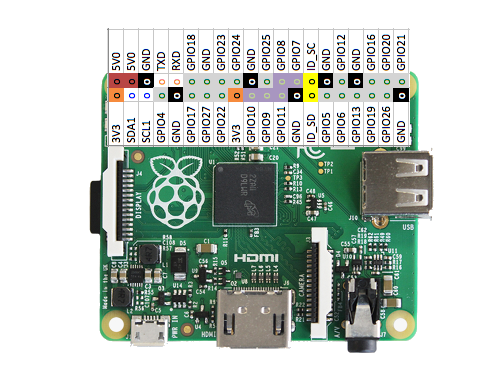 We will need two GPIO pins, how about GPIO17 and 27? 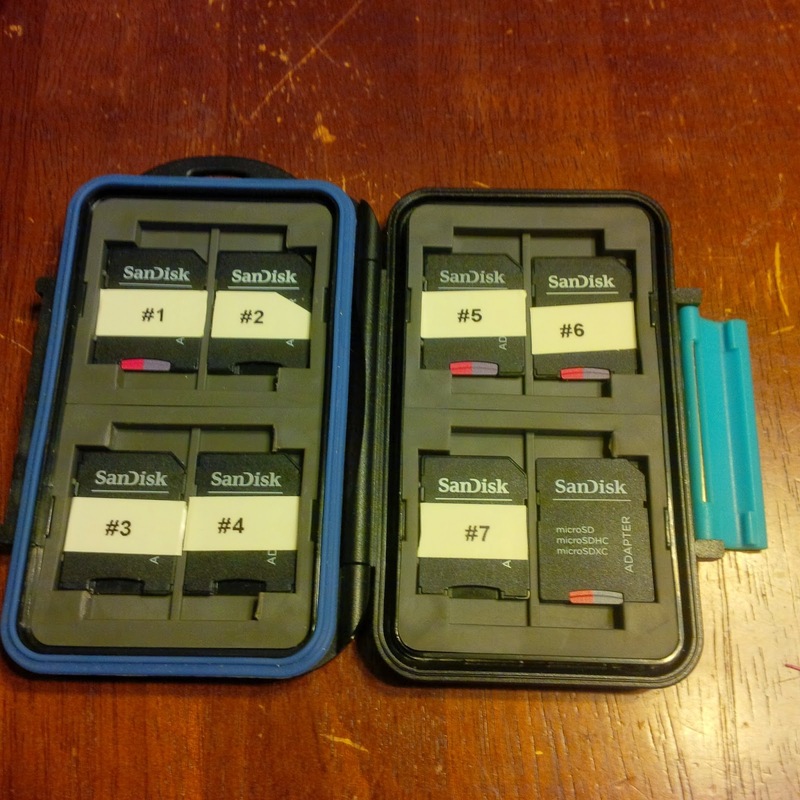 Why two GPIOS? We could have connected a GPIO to 3V3 and GND through resistors (to protect/limit current), to ensure LOW and HIGH modes. But, trying to keep things as simple as possible from a hardware perspective (software doesn't weigh anything, hardware does), using two GPIOs made a lot of sense. Set one GPIO as input, one as output, raise the output HIGH, the input now sees a value of 1. 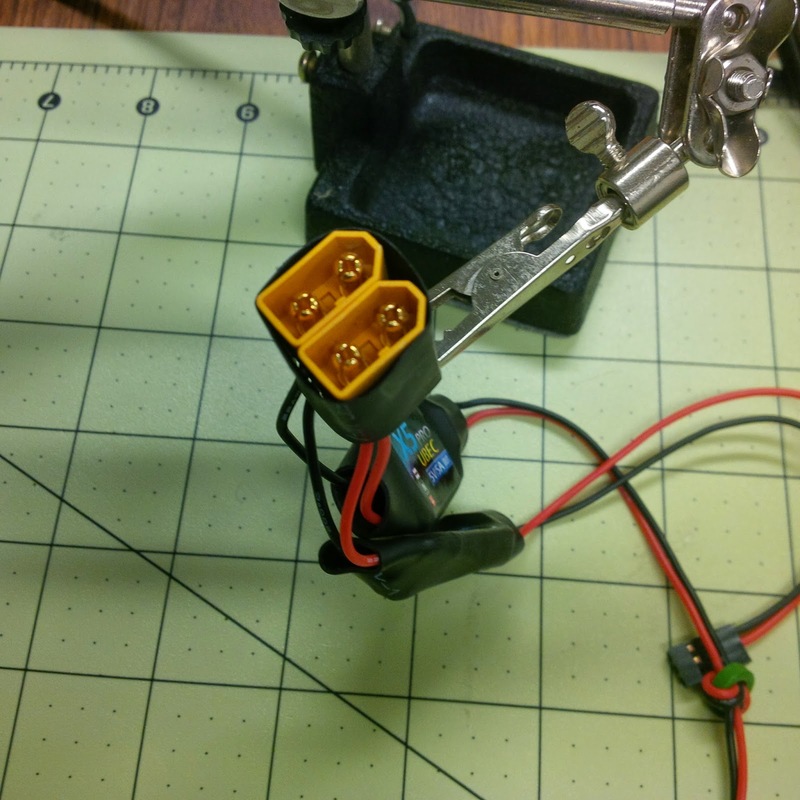 Open the circuit (by pulling the wire out), and the input no longer sees HIGH, it now reads 0. A string attached on one end to the wire sticking out of the side of the payload and on the other end to a carabiner clip is really all that was needed. We've already covered the serial port, sh and docopt in part 2 of the computer network in near space. If you are wondering about these things (and lines 98 to 101 in the code below) I urge you to go and read that article first. I've left here the core of what is needed for implementing the software side of the deadman's switch. We first need the GPIO module. On line 9, we import it as gpio (because uppercase is usually reserved for constants). Then on line 102 we set up the gpio module to operate in BOARD mode. That means physical board pin numbers. In the field, you can always count pins, but you might not have a GPIO map handy... But if you prefer Broadcom nomenclature there is a mode for that too. 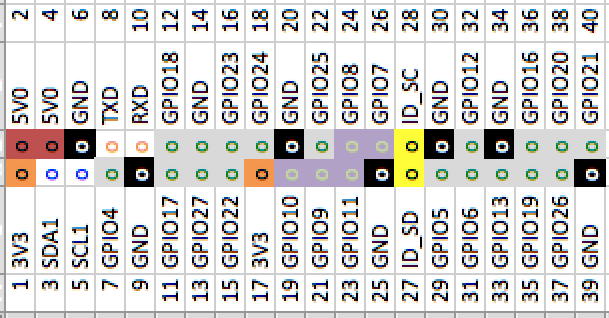 So GPIO17 is the 6th pin on the bottom and GPIO27 is the 7th. Since odd pins are at the bottom and even at the top, this means pin 11 and 13. Line 103 sets up pin 11 to be an output, and line 104 sets up pin 13 to be an input. Finally, line 105 "arms" the deadman's switch by setting pin 11 to HIGH. Pin 13 should now be reading a 1 instead of a 0. We are now going into the actual functionality of the switch. We establish a simple while loop on line 161, reading pin 13. As long as we see 1, the circuit is closed and on line 162 we send a KEEPALIVE frame to the other nodes (see previous article). We also sleep for 1 second on line 163 (no need to poll faster than that). The moment we get a 0, the while loop exits, and before starting the master controller on line 165, we log our launch time on line 164 (the logging aspects will be in a future article). This can be implemented in all kinds of different projects. Have fun with it! I'll be at RENCI tomorrow to talk about Python 3, why it should be on your radar, what are some differences, how you should prepare for a transition. I will also review some specific cases in different fields, and what kind of changes had to be done, such as the case of the MMA software, a "Band in a box" style python program that let's you create full midi scores from basic chords, with Python 2 or 3. 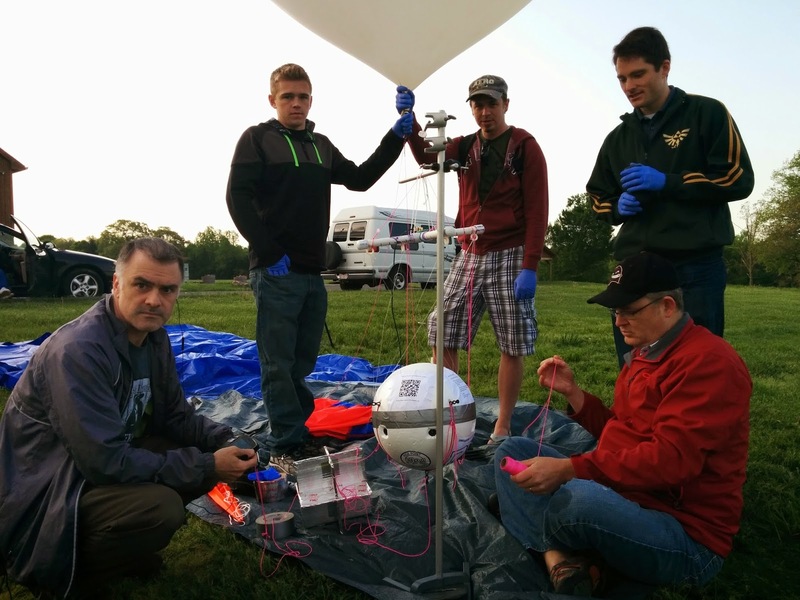 And speaking of radar, not to steal any thunder, but Team Near Space Circus flight #NSC-01 was powered by Python 3. The computer network in space - Part 1! First in flight is the (unofficial - official is "Esse quam videri") North Carolina motto. 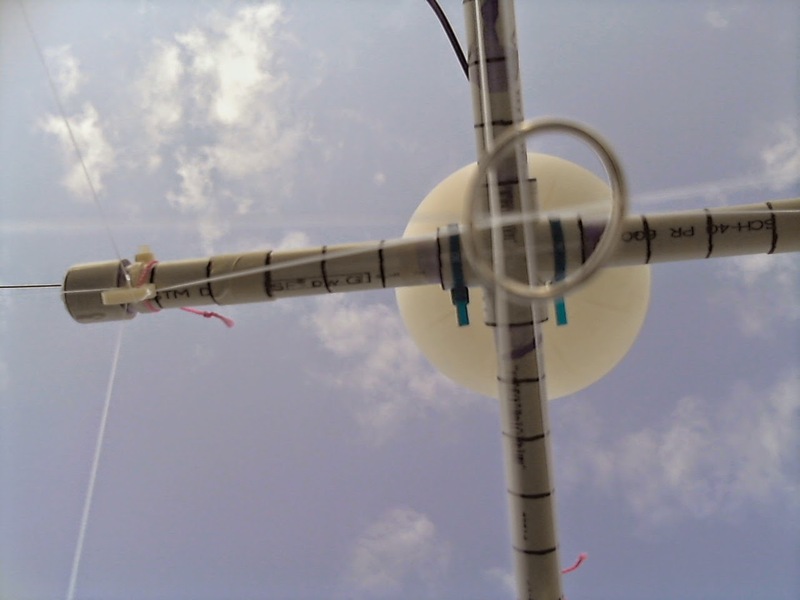 Sending micro controllers into near space to take measurements? Done. 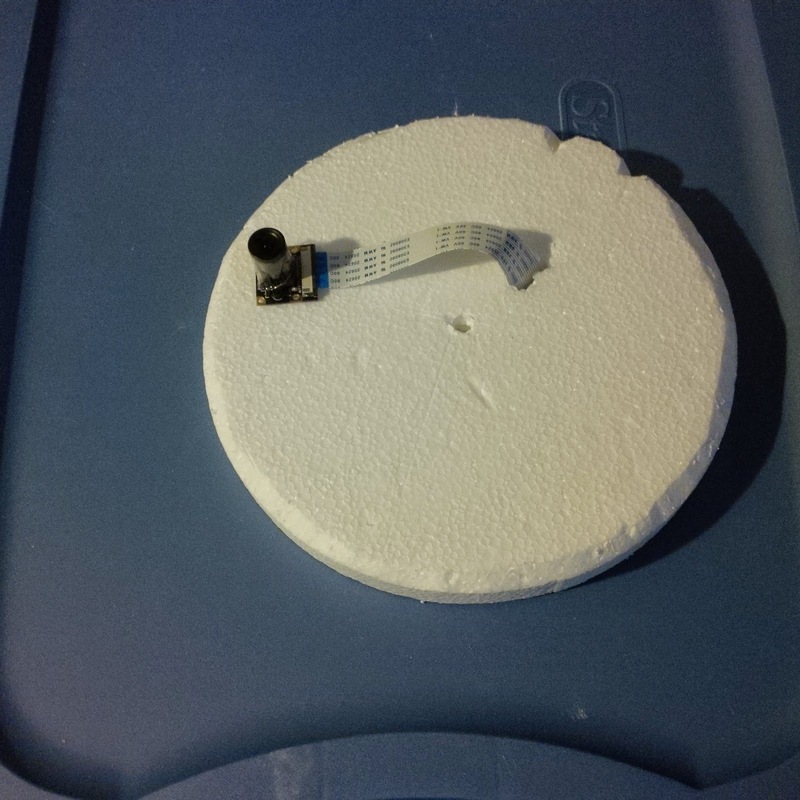 Sending a raspberry pi with a camera module into near space? Done. Sending multiple gopros into near space? Done. Taking pictures from near space? Done. Anything left to do that hasn't been done? One would think there is nothing left to do that has not been done before. 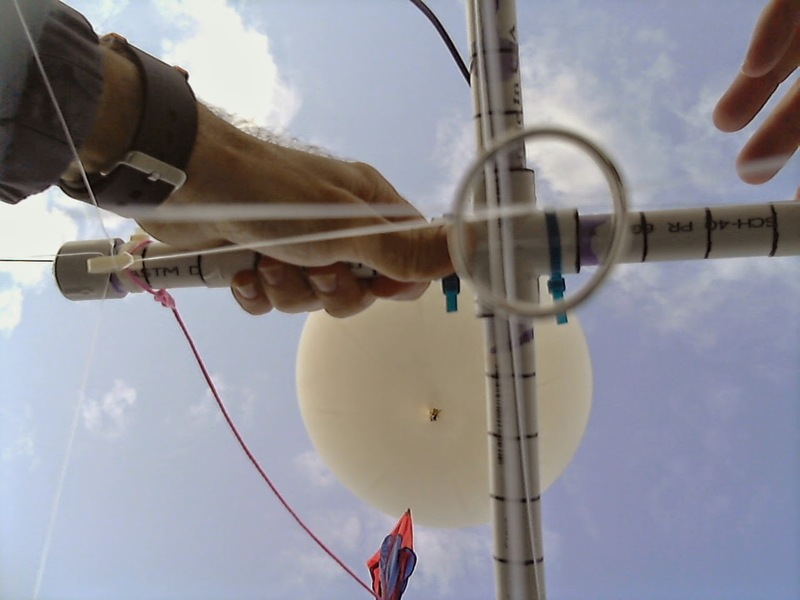 Really, launching weather balloons for gathering data and taking high altitude pictures has been done many thousands of times before, even well before the age of the digital camera. In fact, in NASA technical memorandum TM X-2208 published in 1971, it covers flights done in the later part of 1969 by the Langley Research Center in Virginia. 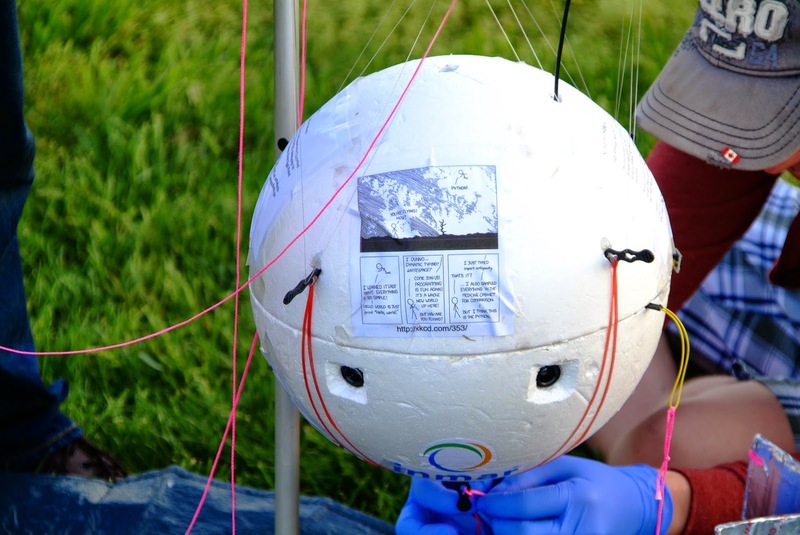 This served as inspiration as to part of the payload for our own launch, an homage if you will. In this flight, they used medium format film cameras, both in the visible spectrum and the infrared. So we started with that concept, we will have a Raspberry Pi with an infrared (PiNoir type) camera, and another with a regular CSI camera. Plus a very analog tech which I'll cover in Part 3. And we quickly realized that we just opened Pandora's box... Innovation was possible everywhere we looked. In my collection of Raspberry Pi related stuff, I had a few cameras already, including one infrared with an S-mount and lens. For a first flight, we could have simply gone with that and a regular raspberry pi camera (with its neutral lens which is not bad at all quality wise; neutral lenses are relatively easy to make compared to wide or tele lens). But we really wanted a wider shot, particularly as the 1080p video is cropped and gives even less coverage. I didn't want to destroy the other modules to add the S-mount (commonly used on CCTV cameras), so I opted instead for a magnetic mount with a conversion lens. That way the camera can be used without conversion lens, or with a telephoto, wide or even a fish eye conversion lens. Of course, most people discard conversion lens as junk. And optically, they are terrible, with lots of barrel distortion and other issues. In fact, barrel distortion is easy to see on videos on youtube taken with wide (it is the built in lens actually) lens "extreme sports" type of video cameras that are so popular. The closer to the edge, the more it distorts. But this was not going to be a show stopper for us. With the right software, I was convinced we could get some really decent shots. 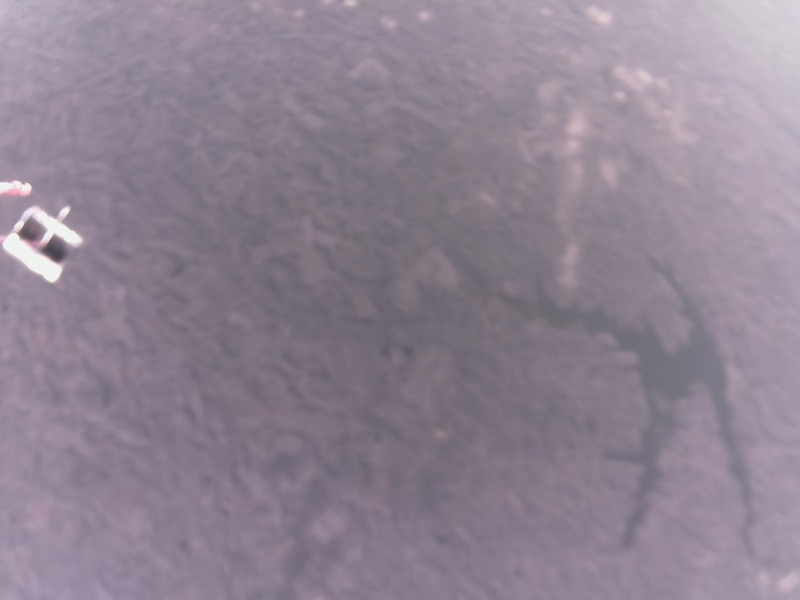 So I mounted a camera with a wide angle lens on top of the raspberry pi case, powered the pi with my phone spare battery pack (with a micro USB lead) and took pictures to calibrate my software (written in Python) and then went downtown Winston Salem to take pictures of buildings with lots of horizontal and vertical lines. Distortion is easily seen there. What is left is the normal angling of lines due to perspective, but barely any lens distortion. Nice. Now let's move on to the computer. So, a HAB with a few computers is like doing groceries for a family with a few kids. The more kids, the more expensive it gets. A single Raspberry Pi model A+ is only $20 plus shipping. And we knew from day 1 that we would use two of them. At a minimum. Then we started looking at options to mount 4 cameras on the payload. For 360 panoramic pictures... Well, with the wide angle lens we used we'd need 5. But 6 is a nice round number, and due to crop factor of the 1080P mode, just making 360 degrees. 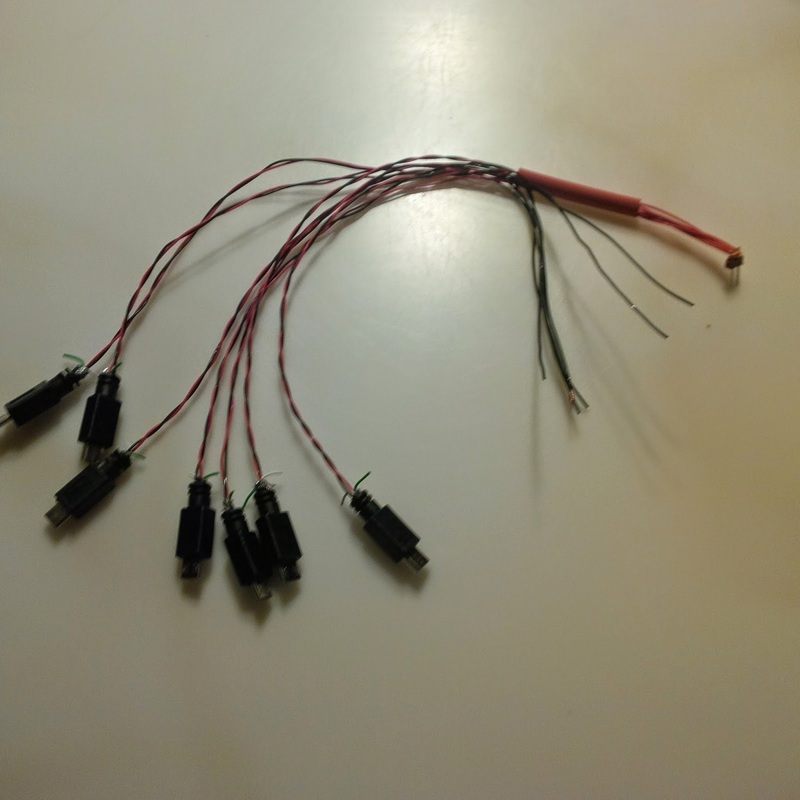 How to connect 6 CSI cameras to 2 Raspberry Pi? Plan A was building or buying a multiplexer. But time ran out for building, and we couldn't buy a real multiplexer. We did have a CSI switcher (made for 4 cameras per board) that I had ordered from Turkey. I had it in hand, but it never did work. I tried to get a replacement but the vendor never contacted me back. Caveat emptor. 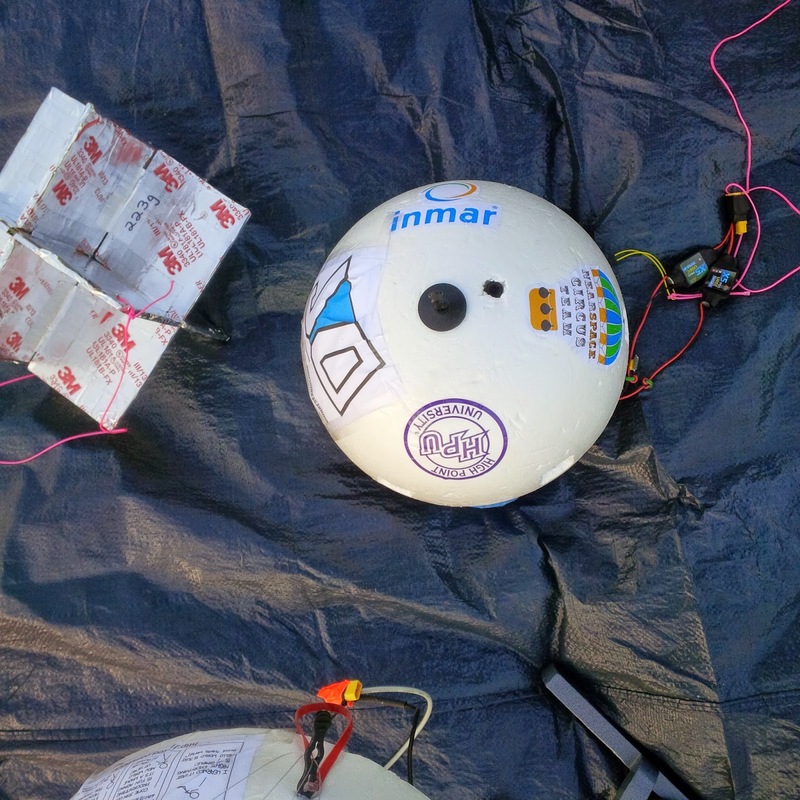 We figured that for all the gear we would have onboard (7 Raspberry Pi, 7 CSI cameras, 1 USB camera, 2 GPS, sensors, 1 APRS transmitter doing 10W bursts every 2 minutes), we would use 3S (3 cells is series) Lithium Polymer batteries, commonly used in RC and drone applications. We went with two, in order to make it easier to distribute the weight and redundancy. But that meant connecting them together in parallel. This was perfect for the APRS transmitter (transmitting our location, voltage and temperature every two minutes) as it expected a 12V source. But the Raspberry Pi expect 5V, not 12V. So we added two UBECs. These are switching voltage regulators. They are not really designed to run in parallel, but we ran them for 12 hours straight many times with no issues. Look on RC forums, people say you cant do it. Well, you can. They do lose some of their efficiency that way, because they use PWM to regulate their output and measure their output as part of that. When 2 are in parallel, the output of one interferes some with the feedback loop of the other. Still, we were ok to lose some efficiency for redundancy. And we needed an octopus loom with 7 microusb to distribute the 5V to the 7 Raspberry Pi. It's about as light weight as we could make it... We did try to connect directly to GND and 5V on the GPIO header, but when it came time to network the 7 Pi together, it caused some issues. I'll talk about that in Part 2. I did say we had a computer network we were sending into space, didn't I? 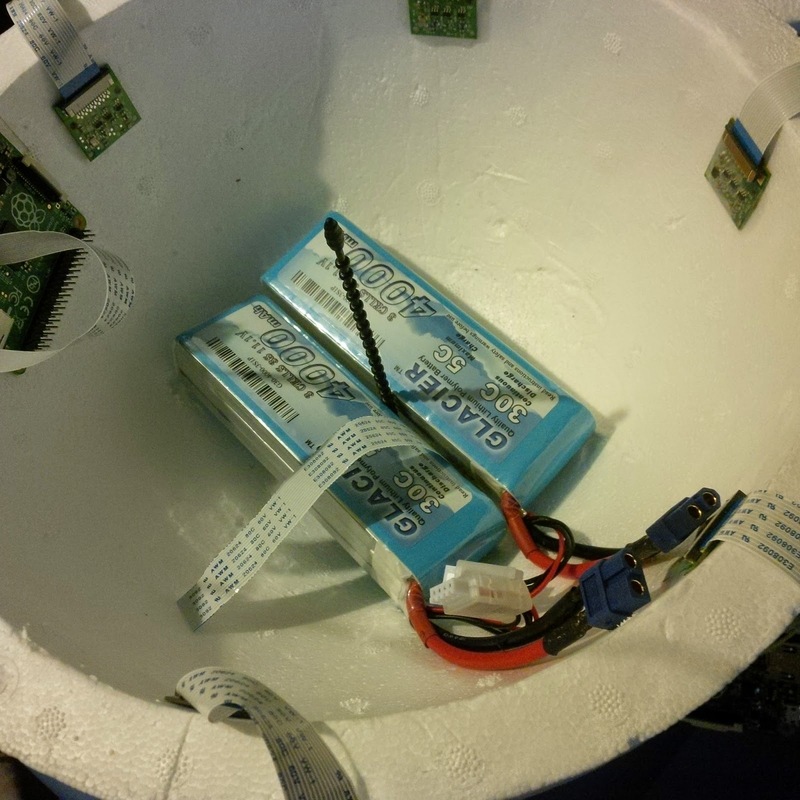 And I'll leave you today in conclusion of part 1 with a shot of the 7 Raspberry Pi networked inside the payload. Part 2 will go into the details of the network itself (article is now up: http://raspberry-python.blogspot.com/2015/04/the-computer-network-in-space-part-2.html), the master/slave component and the deadman's switch (now up, also) and part 3 will talk about the data gathering aspects. And in the interim, try to guess how we are networking the 7 Raspberry Pi. And you can track our first launch progress (and real time data on the day of the launch) by keeping an eye on #NSC01 on twitter, following @pyptug or myself. 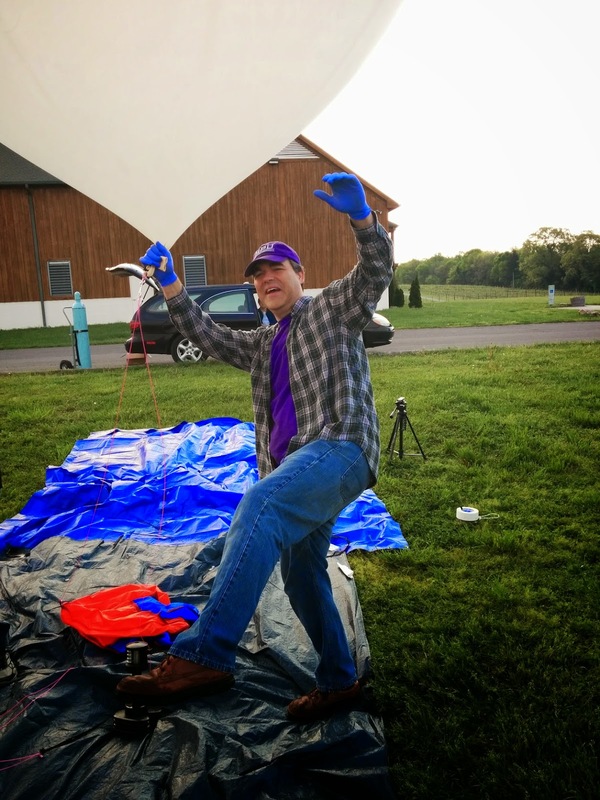 A group of people from the Piedmont Triad of North Carolina will be launching a HAB as part of the Global Space Balloon Challenge. If you want to track it on twitter, check out hashtag #NSC01. As the launch date approaches, traffic and details will go up, so check it out. You can also follow @pyptug (the telemetry will be posted there) or myself @f_dion (some technical details and photos). 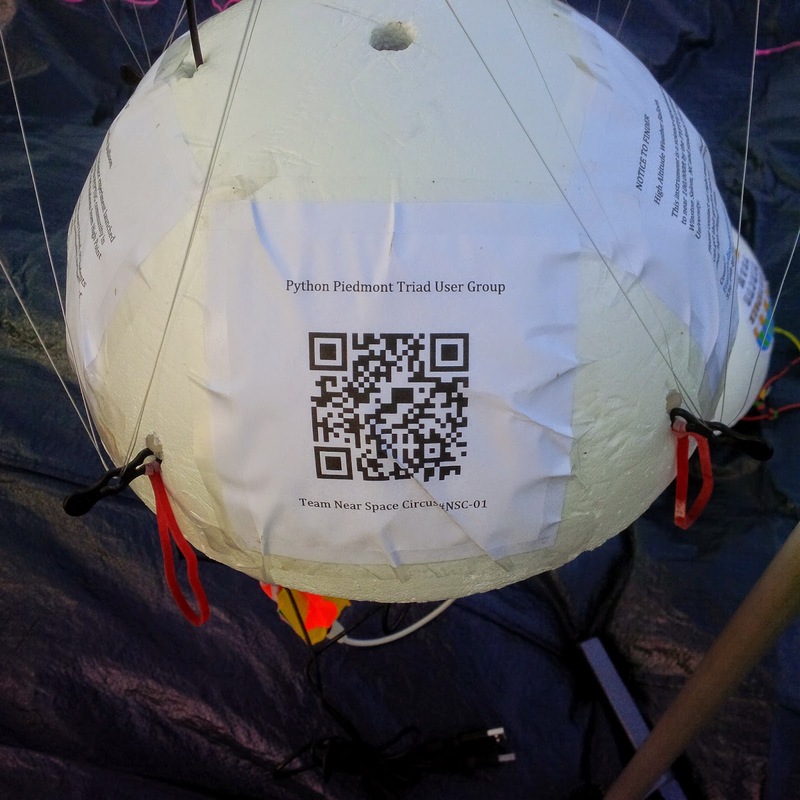 Not only do we run Python for all the tasks of the flight computers, but we are also running visual (on a map) simulations of the balloon path. This is done through integration with google maps and flask. We will post more details soon.